Pre-bake pizza crust according to package instructions at 400°F. 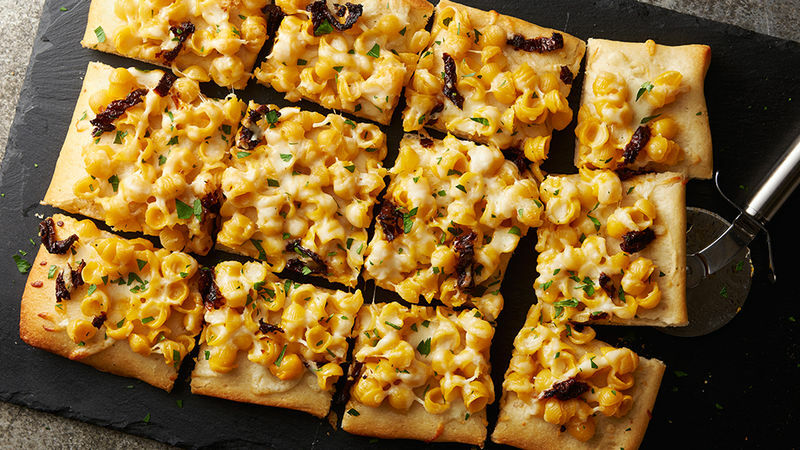 Remove pizza crust and spread the macaroni and cheese evenly over the top of the crust, leaving a 1/2-inch border for the outside crust. Sprinkle with sun-dried tomatoes and Mozzarella, and any other toppings you may desire. Return pizza to the oven and bake for 10-12 minutes, or until the cheese is melted. Remove and sprinkle with chopped fresh parsley. Serve immediately.